Pennsylvania’s Northampton County Council awarded more than $480,000 in grants raised from hotel room taxes to a variety of organizations, including the National Canal Museum, Historic Bethlehem Museums and Sites, and the National Museum of Industrial History to promote tourism, historical sites and cultural events in the region. The state of Connecticut has announced that Mystic Seaport will receive $2 million in state funding to assist with the construction of a new exhibition building. The $11.5 million Thompson Exhibition Building will house a state-of-the-art 5,000-square-foot gallery that will allow it to attract traveling exhibits and display more of its own collection. Sam Black, President of the Association of African American Museums and curator at the Heinz History Center in Pittsburgh. University and several other local organizations, received $125,000 to create a microlending program and a resource center for low and moderate-income residents looking to open their own business. The Museum of Work and Culture, part of the Rhode Island Historical Society in Woonsocket, was among recipients of State Preservation Grants announced recently, and received $20,000. 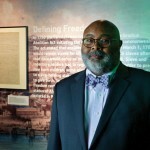 Sam Black, curator at the Heinz History Center (Pittsburgh, PA) was profiled in Pittsburgh Magazine as one of the most noted contemporary scholars of African American history. 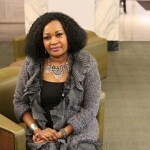 Cheptoo Kositany-Buckner, the new director of the American Jazz Museum in Kansas City. The American Jazz Museum‘s (Kansas City, MO) new director, Cheptoo Kositany-Buckner, is eager to collaborate. 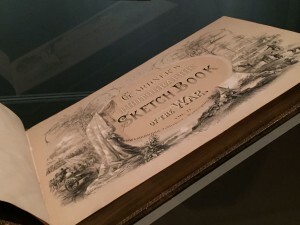 Roger Connor, Curator at the National Air and Space Museum, will present a talk on â€œBy the Stars to Victory: Making Aerial Celestial Navigation Practical Between the World Warsâ€ as part of the Stars of the Smithsonian lecture series at Mystic Seaport in Mystic, 3.3. The traveling exhibition Toys of the â€˜50s, â€˜60s and â€˜70s opens at the Heinz History Center with two artifact loans from the National Museum of American History â€“ a toy computer from 1965 and a vintage Mr. Potato Head, in Pittsburgh, 3.4. Over 40 Affiliates nationwide will take place in the special edition of Museum Day Live!, offering free admission and special programming on 3.12. 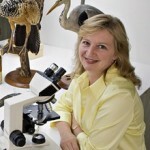 Carla Dove, forensic ornithologist at the National Museum of Natural History, will explain to visitors her job in identifying what types of birds collide with airplanes, and how that helps to make aviation a safer industry at the Carolinas Aviation Museum in Charlotte, 3.12. Jeffrey Post, Curator at the National Museum of Natural History, will present a talk on the American gemstone jewelry collection at the New Mexico Museum of Natural History and Science in Albuquerque, 3.15. 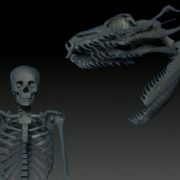 The Idaho Museum of Natural History opens SITES Titanoboa: Monster Snake exhibition in Pocatello, 3.19. 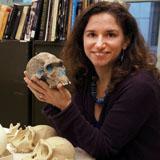 Briana Pobiner of the National Museum of Natural History holds a hominid skull. Dr. Briana Pobiner, educator at the National Museum of Natural History, will present a talk on â€œAncient Appetites: What Our Ancestors Really Ate and How We Knowâ€ at Framingham State University in Framingham, 3.21. Congrats to these Affiliates makingÂ news! 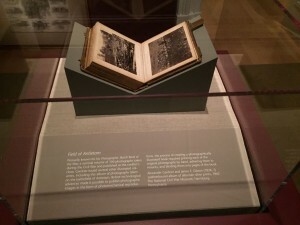 Â If you have a clipping that highlights a collaboration with the Smithsonian or with a fellow Affiliate, or a clipping that demonstrates leadership in education, innovation, and arts/culture/history/science you’d like to have considered for the Affiliate blog, please contactÂ Elizabeth Bugbee. 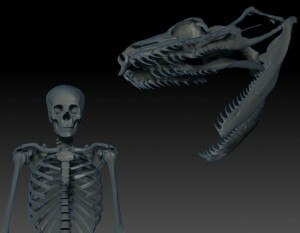 A Boa constrictor skull is scaled up to the same size as Titanoboa and compared to a human skeleton using 3-D tech in the IVL. Render courtesy of Jesse Pruitt. The Rothschild Patent Model Collection of 4,101 one-of-a-kind models â€” going alphabetically from an adjustable pillow sham to a wrestling toy â€” builds upon 849 patent models already at Hagley and the early innovations and patents from the DuPont Company. 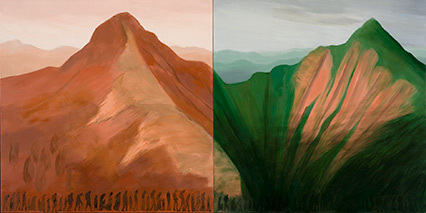 Photo courtesy Patricia and Phillip Frost Art Museum. Video games have scored their way into one South Florida art museum. Atari, PlayStation and other home systems are the main players of “The Art of Video Games” exhibit at the Patricia & Phillip Frost Art Museum Florida International University in Miami. 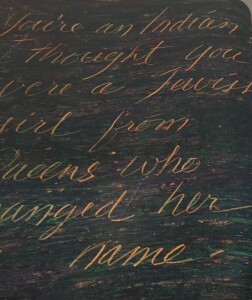 One take-away Rodriguez hopes students visiting the exhibit will go home with is that the museum is a fun, exciting place that asks a question: what is the role of art in your life? 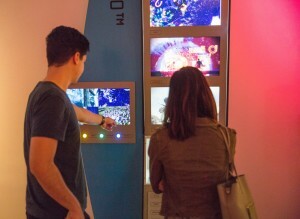 On March 16, 2012, “The Art of Video Games” opened at the Smithsonian American Art Museum in Washington, D.C. The exhibition is Melissinos’ homage to the world of Marios and Sonics.Â For the past three years, â€œThe Art of Video Gamesâ€ has been on a cross-country adventure visiting various museums. The final stop of the tour is Miami’s Frost Art Museum. The Art of Video Games is one of the first major exhibitions to explore the 40-year evolution of video games as an artistic medium, with a focus on striking graphics, creative storytelling and player interactivity. 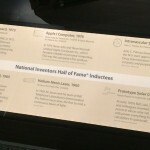 Organized by the Smithsonian American Art Museum, the exhibit and revolves around the 40-year evolution of video games, and their art expression. 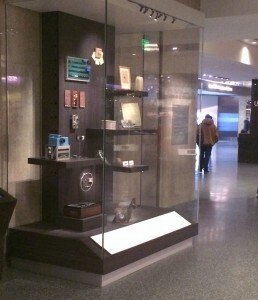 A view of Above and Beyond, the new exhibit at the Saint Louis Science Center. Photo by Oscar Williams. Â â€œAbove and Beyondâ€ is produced by Evergreen Exhibitions in association with Boeing, in collaboration with NASA and the Smithsonianâ€™s National Air and Space Museum, and in educational collaboration with The Museum of Flight in Seattle. While learning the history, visitors can take the opportunity to assemble their own paper traffic signals, patented by Garrett Morgan, courtesy of the Western Reserve Historical Society. Inspired by and named for the lost shuttle, the Challenger Space Center in Peoria opened in July 2000. 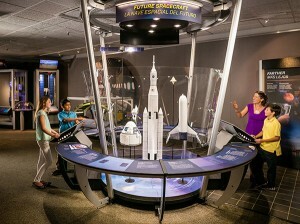 Affiliated with the Smithsonian Institution and the Challenger Learning Centers, it was the first stand-alone facility not only in Arizona, but in the entire Southwest.